Thank you for your review. It is our pleasure serving you. Thank you for your feedback. We are looking forward to be at your service again in the near future. Black mold in bath room, need a step ladder to get in the shower😔. No staff to check you in, just guard that spoke no English . Very basic only good thing , it was cheap and the air con worked . We are embarrassed to know you encountered such a problem and we will make great effort to ensure it does not happen again. I still hope that you will visit us again the next time you are in town so that we could have chance to serve you right. This place is so perfect. 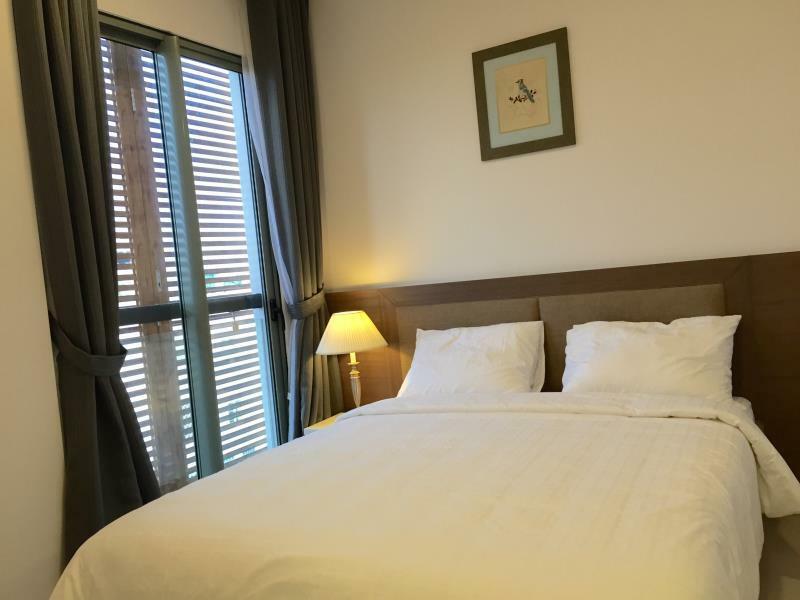 It is located in a quiet area in District 2, but it takes only 5 minutes to reach the fun area and about 15 minutes to the central area of Ho Chi Minh City. The facilities are new and you can literally find everything you need in an apartment there. Upon check in we were told we were to pay cash as the room hadn’t been paid for. After checking with Agoda and our bank it wasn’t paid for and Agoda said payment is to be made at the property. We paid for the room in cash and then a few days later Glenwood Residences also took payment from the card!!!! I put a complaint in with Agoda which were of no help. Fortunately my husband was still in Ho Chi Minh so so he went to the place with copies of the bank statement and after a long fight managed to get the cash back. If he wasn’t still there we wouldn’t have stood a chance. Do not risk it here unless you can afford to pay twice for your stay. Please accept our sincere apologies for your bad experience. We will take prompt action to make sure this mistake will not repeat. Dear Rajest, Thanks for your choosing us, Hope all the best for you and your family, See you on next time! Friendly staff and secure facilities. Good and quiet location. Dear Pak, Thanks for your choosing us, Hope all the best for you and your family, See you on next time! Thanks so much for your reviews! Thanks for your choosing us, Hope to see you soon! Quiet neighbourhood with nice restaurants. More residential and less touristy thus less dishonest vendors. Hello Pak. Thanks for your reviews. Hope to see you on the next time! Best wishes! We stay here often and it's nothing too special, but a good value, convenient, and affordable. We appreciate your feedbacks. it's verry helpful! Thanks so much! We’re sorry you were unhappy - we’ll work hard to fix the issue you experienced. Thanks for letting us know. By the way, we really hope can see you next time. What a fantastic place to stay! I was blown away at the awesome service and fascilities at this modern hotel in district 2. Quiet and comfortable great little pool and gym complex too. Full apartment with big fridge byo coffee or tea milk etc but everything else is there! Will definitely stay again! The apartment is very spacious and provides a variety of cutlery and plates. As a couple, we have found the place to be even too spacious for us. If you have kids, this would be perfect!! However, there was no frying pan, which should be included as it is so useful!! Overall, apart from the minor error with the frying pan, everything is perfect! Hi Anh Viet, Thanks for your reviews, We appreciate it, Best wishes for you and your family, Hope to see you on next time! Outside of staff working hours , security is helpful but cannot speak any English. The glenwood suites has no indication on its building or any building number. Hence made it very difficult to locate for the taxi Drivers. Dear Rajesh, Thanks for your reviews and choosing us, We will learn about your opinion, Hope you had a great time in Glenwood Suites. Best wishes for you and your family, See you!